You are the captain of your own vessel during the Golden Age of Piracy. Chart your course to fortune and glory! Sail into a world of dastardly pirates and wealthy merchants and chart a course for wealth and glory. 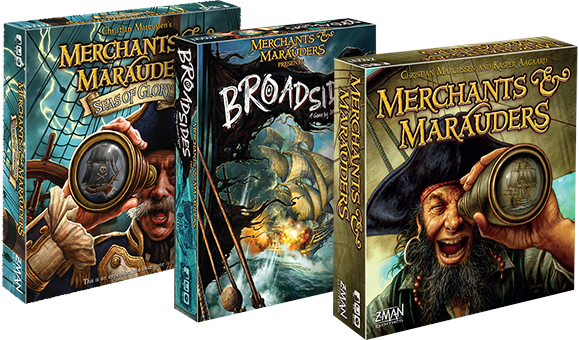 The Merchants & Marauders line is a world of swashbuckling adventure and high-seas conflict set against a backdrop of warring nations. Live the life of an influential merchant shipping rum, bananas, and other goods across the Caribbean—or become a dreaded pirate and strike fear in the hearts of all those who cross your path. The choice is yours! Seek your fortune on the high seas during the Golden Age of Piracy in this game of swashbuckling adventure! 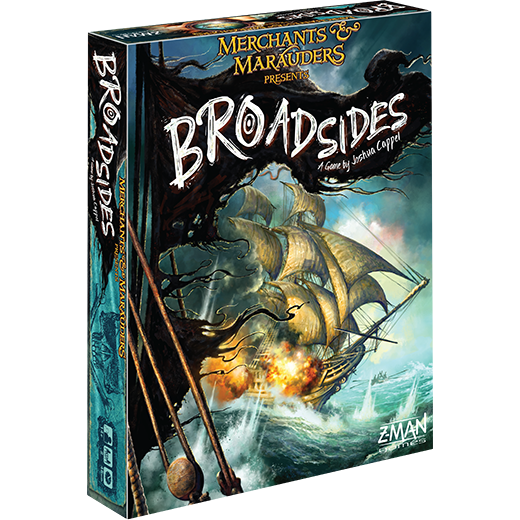 Return to the Golden Age of Piracy with Merchants & Marauders: Broadsides. Take to the seas in this two-player game of deadly naval combat! 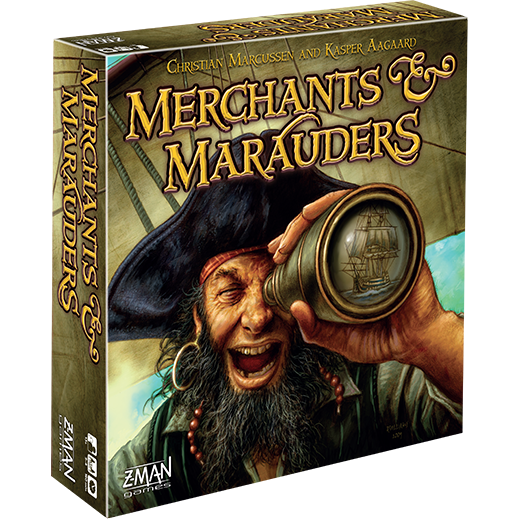 Though set in the same world of profit and piracy as Merchants & Marauders, this stand-alone game can be played on its own. 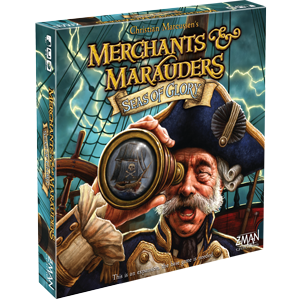 Engage in intense ship-to-ship combat in this stand-alone game set in the world of Merchants & Marauders.